A new wearable camera prototype surfaced on the crowdfunding platform Indiegogo. The new gadget is developed by 3RDiTek and is called 3RDi. 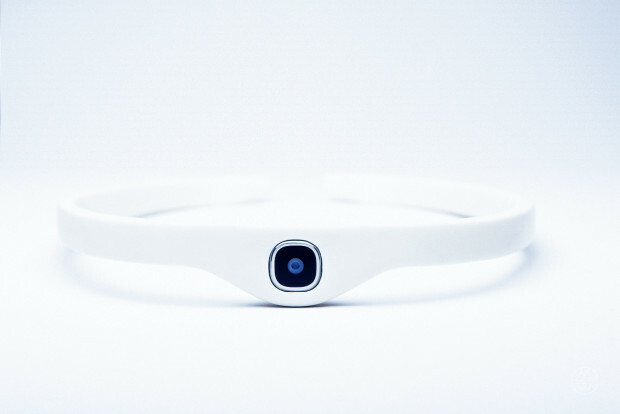 The 3RDi, dubbed “The Third Eye” is a wearable gadget. It is practically a headband with a camera on the front. The 3RDi is able to shoot high definition photos and record videos on the go. Users just have to put it on, turn it on and then they can capture everything that is happening around them. According to some people it looks less embarrassing than the Google Glass. A third eye on your forehead according to others is a little bit strange on the other hand. What is great about the 3RDi is that you can capture photos and videos without having to carry a camera in your hand. RDi users will be able to enjoy a concert or any other show without having to hold their camera or smartphone up for a long period of time. They only have to wear the 3RDi gadget and this will do the work for them. Of course, if they want to take pictures instead of recording videos 3RDi users will have to constantly tap the 3RDi device which might look a little bit ridiculous. The 3RDi wearable camera will allow users to pair it with their smartphones thanks to its Bluetooth connectivity. The specs of the 3RDi include an HD camera with auto focus, LED flash, microSD support for storage, and built- in microphone. The 3RDi is presented as a social media friendly device, compatible with iOS and Android smartphones or other mobile devices. The design might change before the 3RDi starts shipping. The current 3RDi device is only a prototype which might suffer minor changes. In order to manufacture the 3RDi wearable camera, 3RDiTEK launched a crowdfunding campaign on Indiegogo. The goal is to raise at least $250000. If you plunk $194 you will get a 3RDi sometime in the fourth quarter of 2016. Given the projected retail price of approximately $450- $500 it is a small price to pay for one of the first 600 units 3RDiTEK will deliver. The 3RDi wearable camera is a bold project which might go both ways. 3RDi could become a well received gadget or it could become quickly forgotten, like the Google Glass. If 3RDiTEK will manage to raise the funding they need to carry on with their project we will probably see how 3RDi will be received at the end of next year or the beginning of 2017. We don’t really imagine that there will be a lot of people who would like to wear a third eye on their forehead but we might be in for a great surprise. Maybe it will be a gadget that will turn into a hit. It would be nice not to hold a smartphone or a camera up for 2 hours at a concert but we are not certain that the 3RDi wearable camera is the gadget to free our hands. Would you wear this device?